Today’s post is going out to my longest standing client, Tracy. During a recent training session, she told me she sometimes asks herself, “What would Chris think of this item?” while shopping at the Trader Joe’s. 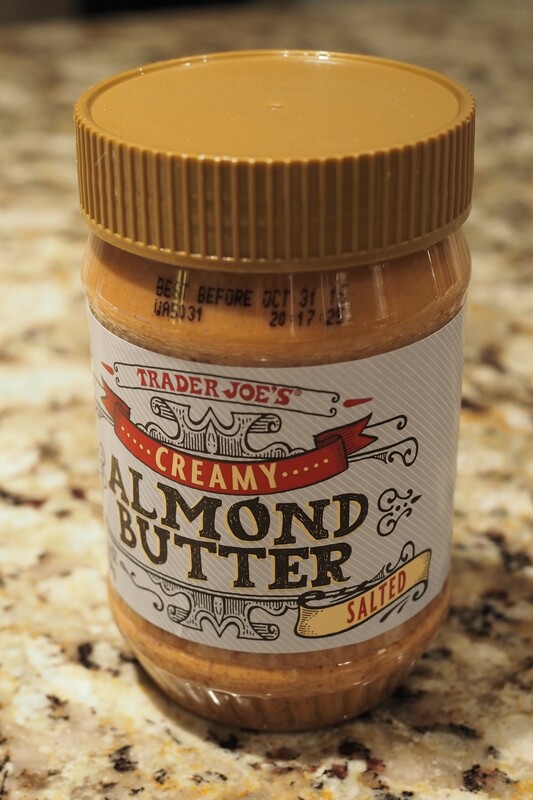 She suggested I compile a list of my “go to” Trader Joe items in a WellMom post, and I’m here today to do just that! Tracy also noted her tendency to pick up too many “snacky” products at the store and not enough “real food.” I agree that the lure of packaged convenience foods is quite tempting, and by no means do I eat “real food” 100% of the time. But I do my best to keep processed foods to a minimum, and most of the items below fall into the “real” – or at least “minimally-processed” – category. I’m a girl who likes a deal, so you’ll notice that a lot of the options below are inexpensive relative to comparable items at other grocery stores. 2. Organic avocados – 4-pack. These are an awesome deal, coming in at just over a dollar per avocado! My toddler, Siyona, and I eat avocado basically every day. I typically dice it and add it to salads or omelets. Siyona likes it as a stand-alone side dish with her lunch (it was actually her first solid food). The only drawback is that I have a hard time finding ripe ones, so I often have to buy them a few days before I want to eat them. 3. Frozen berries. Frozen berries are GREAT for mixing into yogurt, smoothies, and oatmeal. They’re especially nice at this time of the year when you can’t – or shouldn’t? – get fresh ones. One of my favorites are the organic frozen wild blueberries. They’re smaller than regular blueberries, which I love. 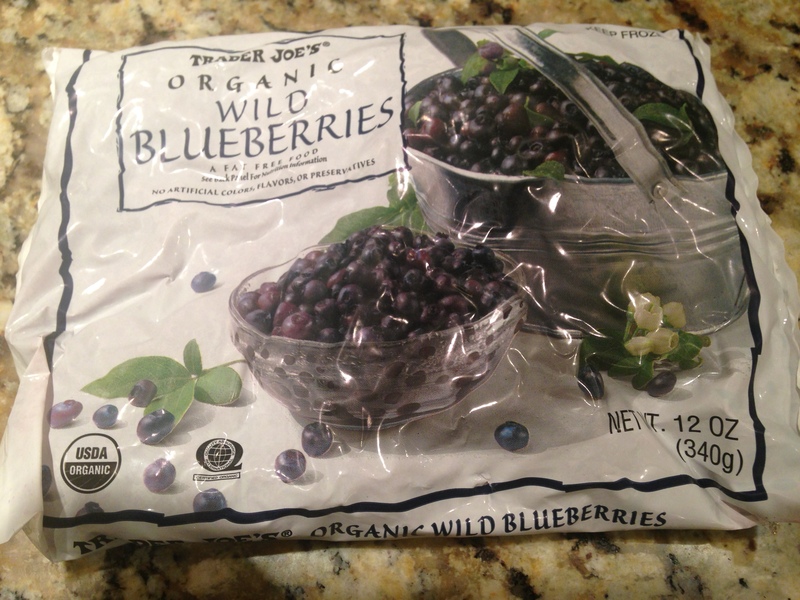 At $3.99 for a 12 ounce bag, it’s hard to find a cheaper organic blueberry anywhere! 4. Grill pack of organic chicken. The grill pack of organic chicken contains two bone-in chicken breasts and four drumsticks. I typically don’t grill with these. Instead I’ll bake the chicken breasts, shred them, then add the meat to a variety of different entrees. What do I do with the drumsticks, you ask? Well, a drumstick happens to be the perfect size for Siyona, so I’ll freeze them individually and use as needed. Comes in handy on nights when my husband and I are going out and I need something to leave home for her. Bone-in is admittedly more work than the boneless, but I happen to think it tastes a lot better, and I save the bones to make homemade chicken stock. Oh and did I mention it’s only $2.99/lb? And that’s organic chicken! 5. Organic frozen chopped spinach. This is such a versatile product. I put it in everything from smoothies, to eggs, to pastas and stir frys. I’ve even been known to put it in my chicken enchiladas. It’s a great way to up to veggie content of your favorite dishes! 6. Organic Power to the Greens. This is Trader Joe’s blend of kale, spinach, and Swiss chard – three dark leafy greens rich in vitamins and minerals. It’s the base for a lot of my salads. $2.49. 7. Barbara’s Multigrain Spoonfuls. Ok, ok. So this one comes in a box. Michael Pollen might be ashamed. Cereal is a notable exception to my general tendency to abide by his mantra, “eat food, not food products.” I guess you can call it my Achilles heel – I love starting my day with a bowl of it splashed with unsweetened almond milk. And as far as I’m concerned, there are worse vices, especially when Barbara’s Multigrain Spoonfuls is one of my cereals of choice. It’s pretty natural as boxed cereals go (read: no icky preservatives) and has only 5 grams of sugar per serving. If you enjoy Quaker Life cereal you will like this one, and your body will thank you for the omission of BHT, Yellow 5, Yellow 6…). And a HUGE 24-ounce box costs me a mere $3.99! 8. Canned salmon. 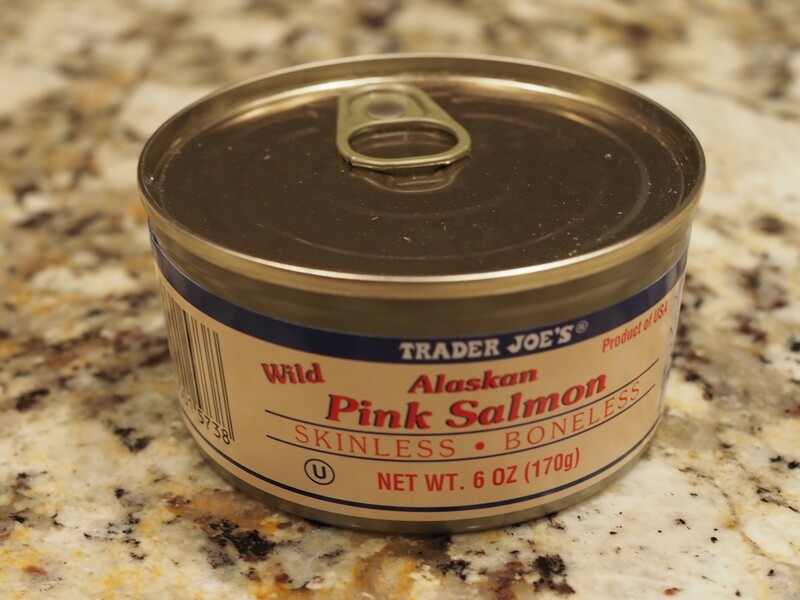 Some of you serious seafood eaters might balk at this one, but you’ll almost always find a can of TJ salmon in my pantry. No, it’s not nearly as tasty as a fresh filet, but I really enjoy it as a salad where I combine the salmon with plain yogurt, kalamata olives, and capers. If I have lemon on hand, I sometimes add that too. Trader Joe’s also sells a nice kalamata olive tapenade spread that I sometimes substitute for the capers and olives. Canned salmon is an economical way to get in those healthy omega-3’s! $2.49. 9. Brown rice and quinoa fusilli. You’ve got me again. This one also comes in a box. Well, a bag actually. But I’m giving it a pass because it has just two ingredients (I’ll let you guess what they are. Hint: they’re in the name of the product). And while no one in my family has a gluten problem, I happen to think we can all stand to eat a little less wheat. I have no scientific basis for saying this, but I can’t help but wonder if the rise we’ve seen in gluten allergies is a result of the rise in gluten in our diets. Someone should fund this study. $2.99. Combine basil through salt in a large food processor. While blending the dry ingredients, drizzle in the olive oil until smooth. Then stir in the cheese. 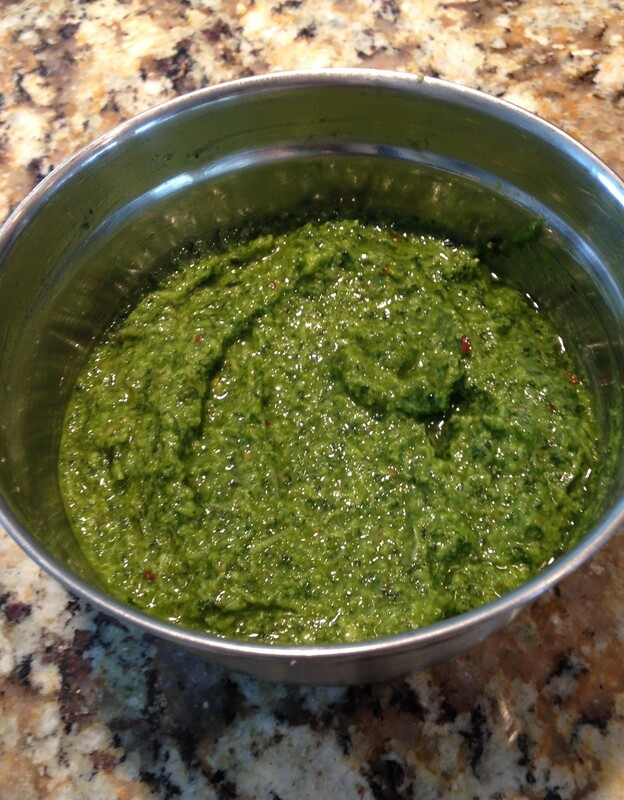 *Frugal tip: Traditionally pesto is made with Parmesan cheese, but Pecorino Romano is WAAAY cheaper. The flavors aren’t identical, but with all the other strong flavors in the pesto, my palate can’t detect a difference.